I suffered a pectoral strain about a week ago. This caused compensation in my upper body, so the pain traveled from my chest, to my upper back and around to the side of my neck. Between some rest from running (which aggravated it the most), 3 Pilates routines, icing after exercise, heating pad in the AM and PM, my Just Pain Relief oil from Blue Morpho Skin Spa, and one trip to the chiropractor, I am recovered and refreshed! There were no drugs involved. When we listen to our bodies’ need for rest and recovery, we can most often come through a minor injury without the use of drugs. My 95% pain-free run this morning was a sweet reminder that God created our amazing bodies with such intricate design! An orange has a very slight lead per gram when it comes to vitamin C versus cauliflower, BUT cauliflower wins over an orange because it also has a good deal of vitamin K and B vitamins. 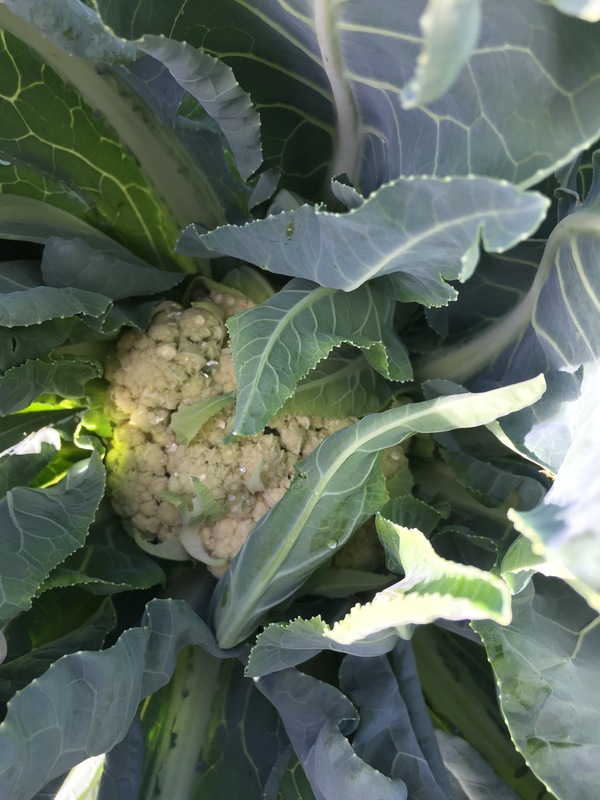 With that said, I have been watching my cauliflower in my garden slowly grow its big, green leaves, and finally it has a head of cauliflower peeking out. The long, dark green leaves are gorgeous, and so how could I let them go to waste? 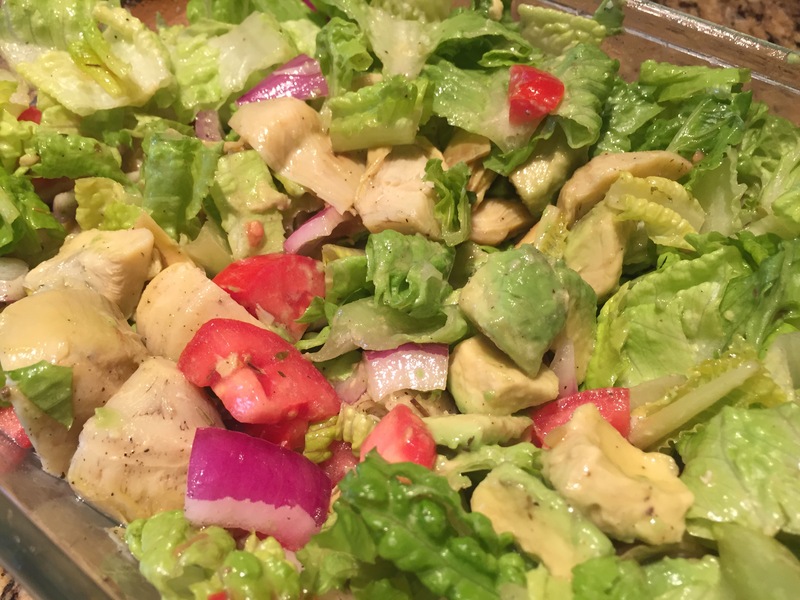 I always do a quick research before I eat anything that is atypical, and tonight my Googling confirmed my suspicions- the greens are edible! So, for dinner, I made myself sauteed cauliflower greens with fresh garlic and mushrooms in coconut oil. That dish is now completely consumed and my immune system has had a little boost!